World Of Goo - Fight Against The Shopkeeper BETA release here! This is our complete mod with new chapters, levels, map world view, animations, sounds, musics, new balls and more! 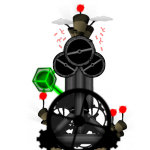 To make this mod you must finish all levels of true World Of Goo and it doesn't work with other addins! THANKS TO ALL AND WE LOVE YOU! Geometry Hyperspace is the first ever addin to get levels from other addins within a space-themed game with 10 new levels. My very first chapter! It took me a while to figure out how to make a chapter, but I managed to create it after a while! This chapter originally had many issues, but thanks to gooey goo, he fixed the issues! So this chapter should no longer have any bugs or errors! I also learned from him on how to decrypt bin files in the chapter's levels. Thanks gooey goo! 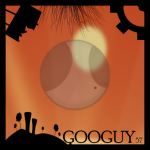 Big thanks to .SlipKnoT._2_2 for the awesome cover art for Googuy57 Island! Beta 1: 4 Merged levels. Final version: Chapter on the map world view.